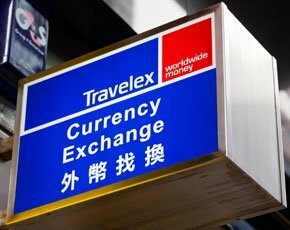 Travelex, the foreign exchange group, cut its human resources (HR) costs by a quarter, by replacing disparate on-premise systems with centralised cloud technology. Travelex replaced over 20 different HR systems and hundreds of HR spreadsheets with the cloud-based software, to serve employees in 30 countries. Travelex runs 1,500 change bureaus in airports and cities worldwide, and invested in education, recruitment and talent management services to manage 8,000 employees around the world. The cloud-based HR technology went live in September 2014, and allowed the company to cut recruitment costs by 60%. The HR technology reduced the time Travelex takes to fill vacancies, from 60 days to 11. The HR cloud project – which survived the threat of derailment when costs unexpectedly over-ran during testing – allowed the organisation to save money by moving its HR operations from local offices around the world to a central services centre in India. “We overspent on our budget, but we tripled our benefits.” says Gareth Williams, Travelex group HR director. The company – which adopted a “mobile first” strategy – uses a range of cloud services to make it easier for employees to book holidays, take part in online training courses and update their person details, from phones and tablets. Managers use the system to analyse the skills of the workforce, check headcounts and process employee appraisals online. Until the project went live in 2014, Travelex relied on 26 global HR systems – including five different learning management platforms – and over 2,000 different HR processes. I was mandated by the CEO to change the rules of the game and transform HR like never before. It took weeks for HR managers in each country to compile accurate figures on staff numbers across the company, says Julian Thornley, Travelex’s global head of HR technology. And technical problems with payroll systems led to some employees being paid late. “There were no economies of scale. More importantly, colleagues' and line-managers' experience of HR was poor. There was a lack of data,” says Williams. Travelex was clear it wanted to move from on-premise HR software to the cloud, and began assessing alternatives in mid-2012. “I was mandated by the CEO to change the rules of the game and transform HR like never before,” says Williams. The company evaluated software from the big three suppliers, SuccessFactors, Workday and Oracle Fusion. Travelex chose Workday’s Human Capital Management service, because of its strong analytic capabilities. It signed Cornerstone for online learning and training services; and PeopleFluent for recruitment. Williams set an ambitious deadline, to update HR processes across the group and roll out the technology in 12 months. “I was told, 'You will never do,' it because of the fragmentation of the infrastructure, not being able to secure the investment, or getting the sponsorship,” he says. The team decided to simplify the project by adapting its HR processes to technology, rather than attempting to customise software. “We realised you either bend the business to the technology or bend the technology to the business. We decided to bend the business to the technology,” says Williams. The team used a combination of contractors, from boutique consultancy Kainos to Travelex’s own HR team and business specialists, to drive the project. “I made a decision to incentivise our HR team behind the change with a cash bonus,” says Williams. Every part of the business was involved – including chief executive Peter Jackson, who took part in testing the systems. The company worked through a series of phased roll-outs, starting with pilot deployments in October 2013; followed by Europe, Middle East and Africa in February 2014; and the rest of the world from July 2014. The project team deployed Cornerstone learning management technology - the least business-critical of the HR services – first. That allowed IT staff to test how offices with lower broadband speeds accessed the cloud service, and ensure web browsers had the right plug-ins. Travelex rolled out a single sign-on system, to allow employees to log onto multiple software applications using one password. One of the challenges was ensuring the HR data – gathered from 65 spreadsheets – was accurate and up to date. The company learned as it went along, says Thornley. On the first wave of deployment, data accuracy was only 65%; by the third wave, it had reached 97%. The project threw up some unexpected challenges. The team was surprised by how many HR processes were transferred to the cloud. For example, the HR team had to build 342 different absence plans – covering scenarios ranging from maternity leave and adoption to leave for employees with elderly parents. Testing the cloud HR software took more time than Travelex had predicted, as the project team worked to ensure each scenario for leave or sickness was covered. “We underestimated testing. I did not realise we would be writing 10,000 test scripts,” says Williams. The extra work led to a sharp increase in costs. Travelex abandoned the "big bang" approach and went for a phased roll-out. Thornley went to the board and won backing for more funding – in return for a promise to re-engineer the work to deliver more business benefits. “We built new work streams. I went to get more investment and we decided to get more benefits, and put in place more effective ways of working,” he says. The team extended the project time from 12 to 18 months and introduced tight cost controls, to get the project back on track. That meant holding a weekly governance meeting to closely monitor the budget. The project was worth over £1 million to Travelex, but even £75 train tickets were scrutinised, says Thornley. “So often we hear about IT projects going over budget. It happened on my watch, but I stopped it,” he says. The project allowed Travelex to streamline local HR teams by creating a shared HR services centre in Mumbai, India. Mumbai now employs 36 specialists – soon to increase to 59 – as part of a 150-strong HR team worldwide, managing recruitment, learning, talent and development. The company made substantial savings in recruitment costs by using PeopleFluent technology to identify possible job candidates. Rather than hiring recruitment agencies, HR mangers use the software to identify possible candidates on Linked-in, Facebook and other social media. Travelex plans to extend its data-mining capability by rolling out a talent-management module, to help it identify skilled candidates in its existing workforce. “It is game-changing if you are an operations leader and need to fill jobs,” says Thornley. The Cornerstone HR technology gives employees access to training modules on their mobile devices. They can take courses on the move, on topics ranging from management skills and how to use software packages such Excel, to anti-money laundering. The cloud HR system has proved popular with Travelex’s 8,000 employees, reaching 93% in just three weeks of going live. News of the project went viral, and even colleagues in countries where the system had not yet gone live tried to log on, says Thornley. Travelex says the project enabled it to respond to changing business conditions in a more agile way. “We need in to move to an agile operations model. There are big-ticket external factors – globalisation, and how technology is enabling globalisation – that you can’t afford to ignore,” says Williams.